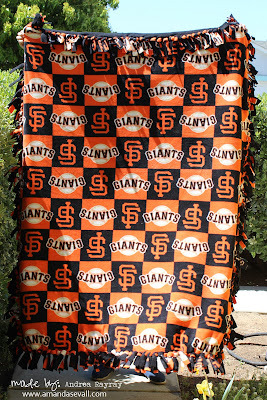 Both of our blankets began by laying both pieces of fleece together, then cutting out 6-inch squares from every corner. Next, you cut a strip through both pieces that is 1-inch wide and 6-inches deep. Once all your strips are cut, simply tie the pieces together! That makes it sound easy, but it really is a test of patience (and your ability to sit on a hard floor!). 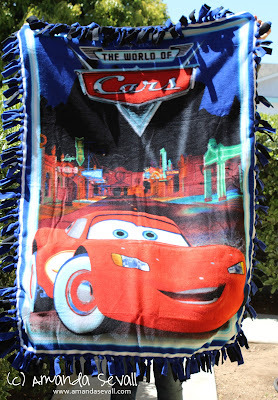 Have you made a fleece tied blanket? Boy, that was the most craft-filled, productive weekend ever! And the guys were around AND you managed to watch a movie? Amazing!